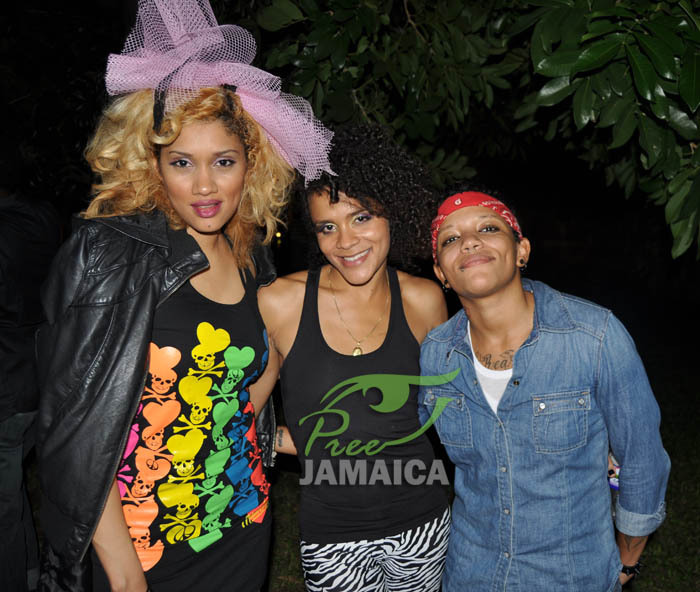 Crimson Heart Replica, Sezi, and Jovi Rockwell, three of Jamaica’s premiere female rockers, came together on Friday night at Redbones to present an evening of Rebel Grrrls Musick. A CHR production, the show was well attended by a mix of the Redbones’ Friday night regulars as well as those who came out specifically for the music. Sarah “Sezi” Silvera opened the show with her set of original songs and lively dance moves (many performers could learn from her stage persona). Always entertaining, Sezi is a relative newcomer to the local music scene who’s stock is rising quickly. Katherine “Crimson Heart Replica” Williams (also known simply as “CHR”) followed, and also did a mixture of her own rock/alternative tunes along with a few select covers. CHR has been carrying the flag for alternative rock in Jamaica for some time now, and paired with guitarist Wayne McGregor kept the standard high. Jovi Rockwell closed the show. The “Rebel Love Goddess”, as she is also known, recently returned to the rock after an extended absence. Jovi’s strong voice and seasoned performance skills had the Redbones crowd right with her throughout her performance. She powered through a set of her hits, including “Party On”, “You’re Gonna Need Me”, “Rizzla” and “Longtime Brother”, and also drew on some reggae standards (Dawn Penn “You Don’t Love Me”). Good to see Jovi performing again in Jamaica. 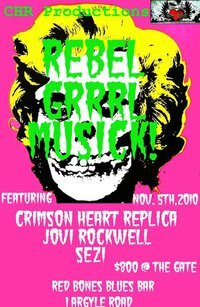 All in all a great show and we look forward to more Rebel Grrrls Musick! Thanks to Pree Jamaica for the photos.